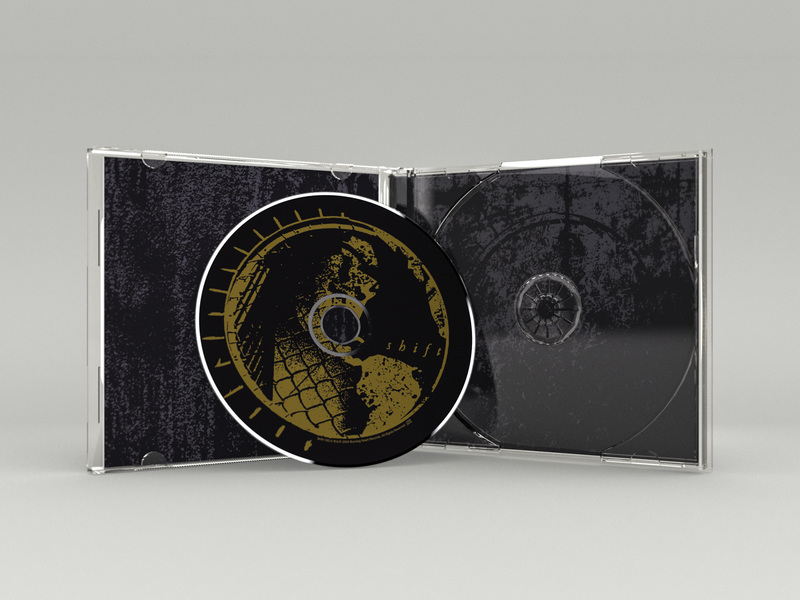 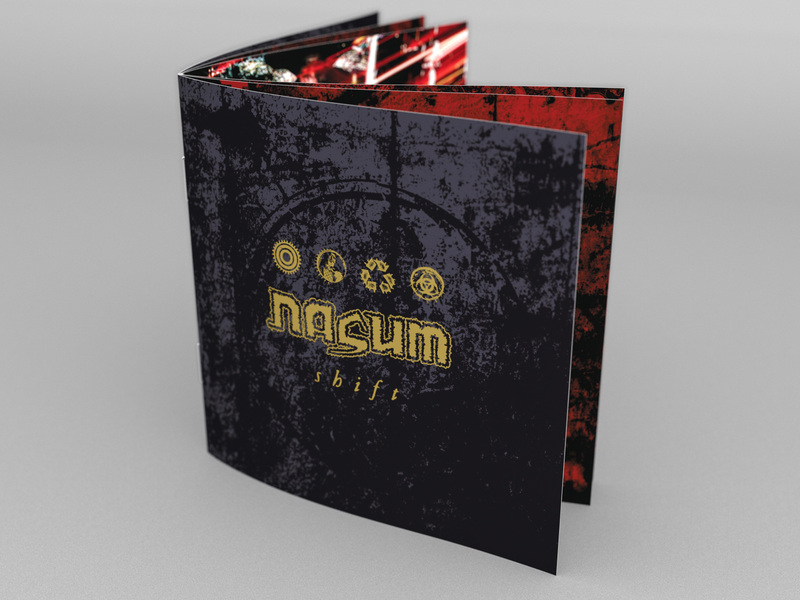 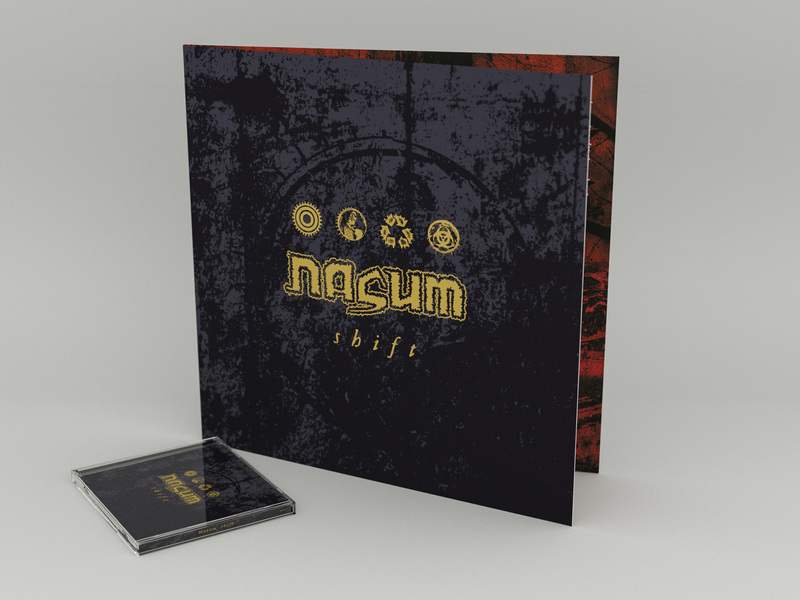 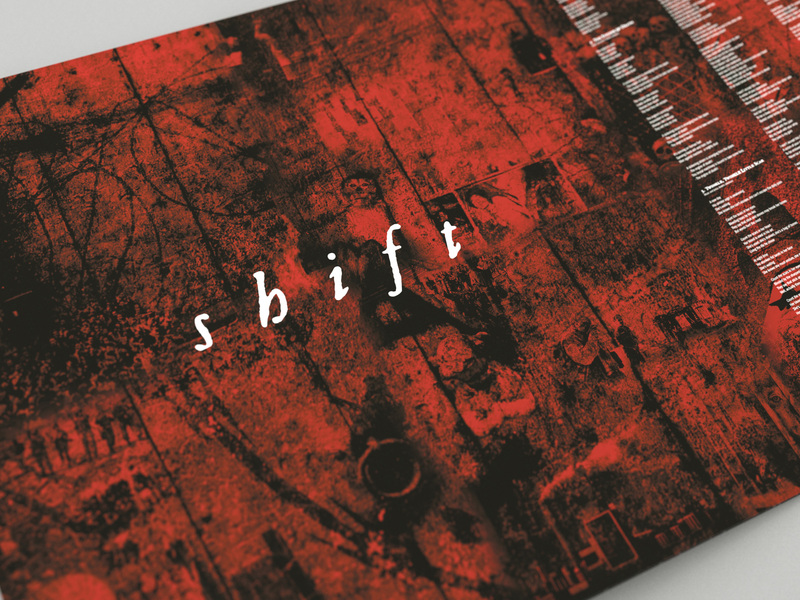 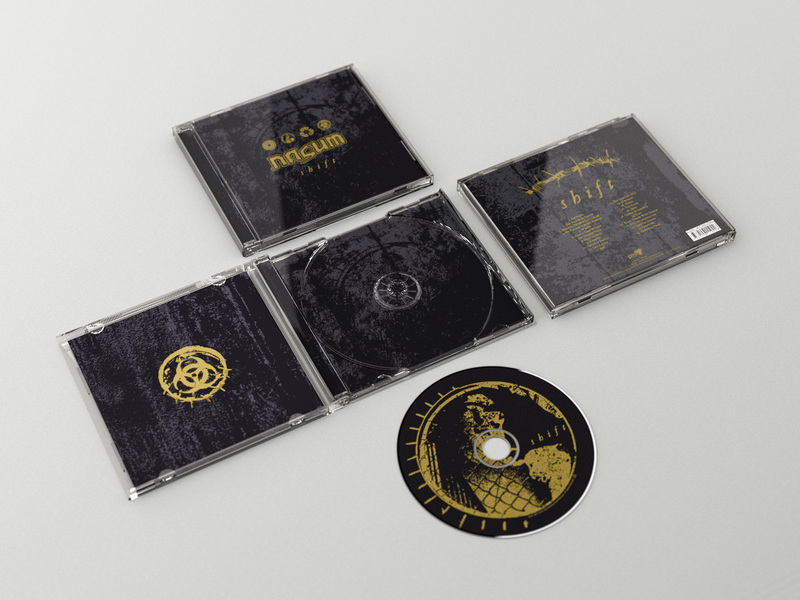 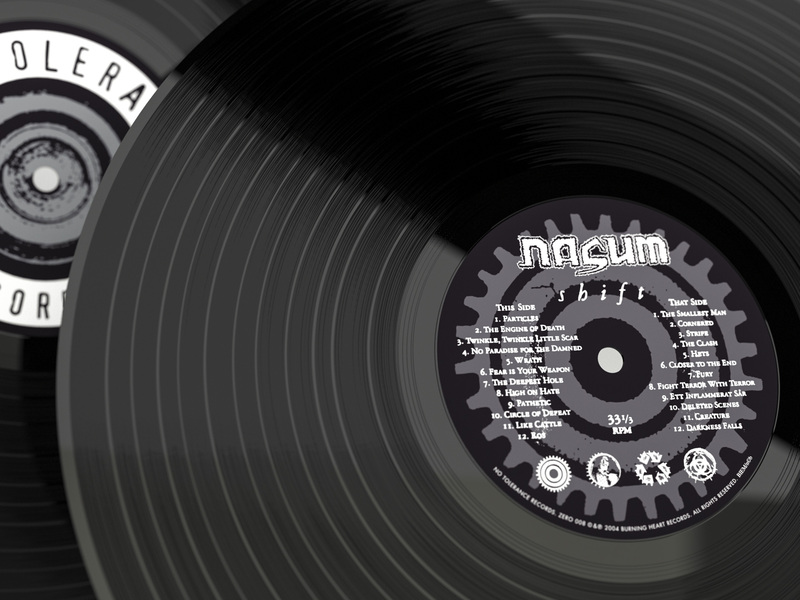 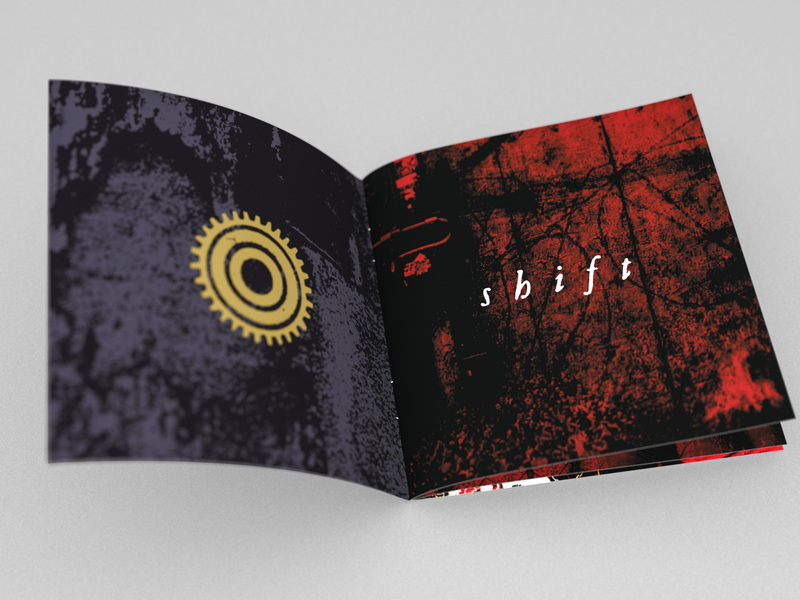 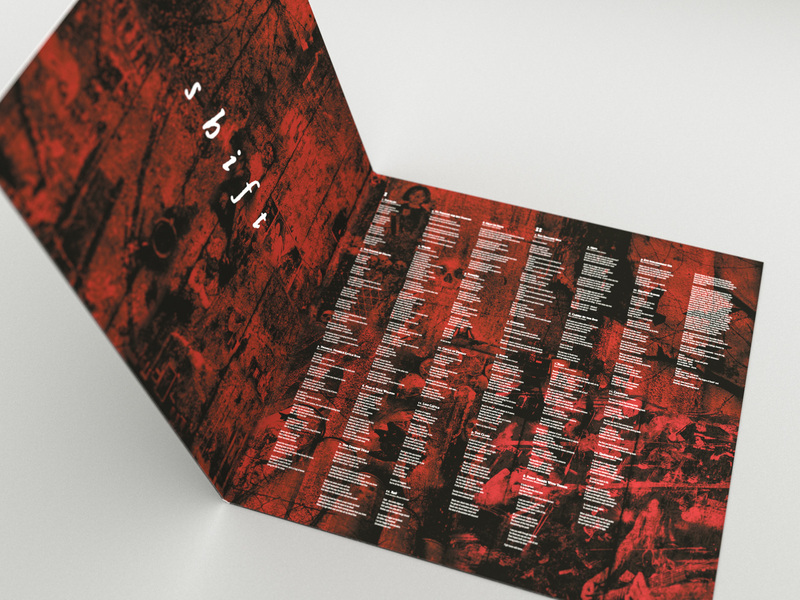 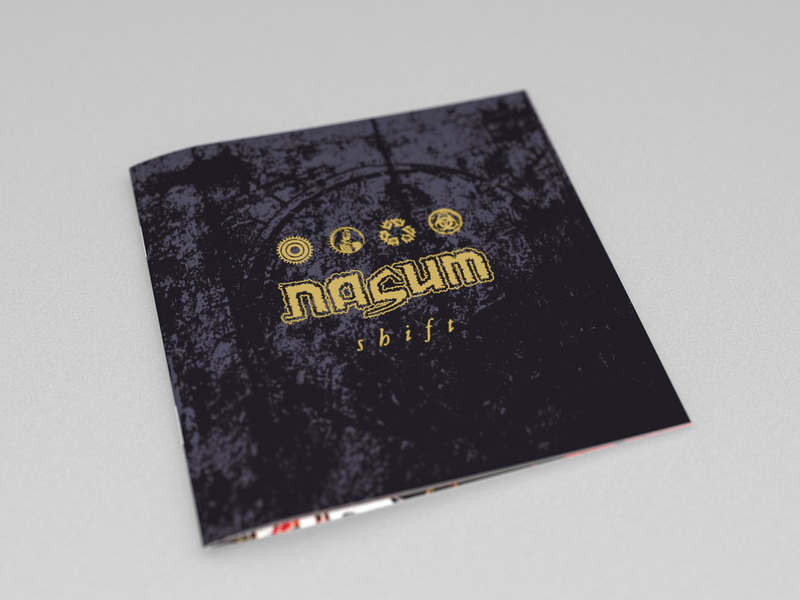 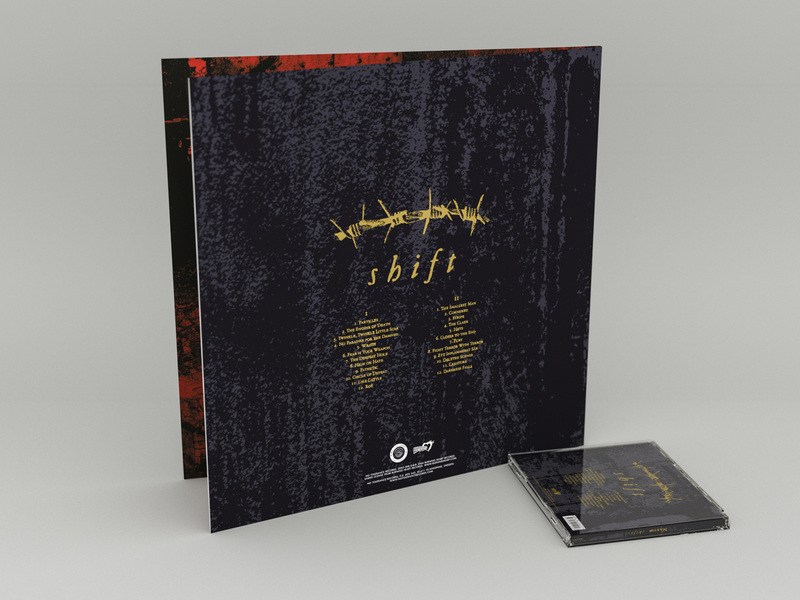 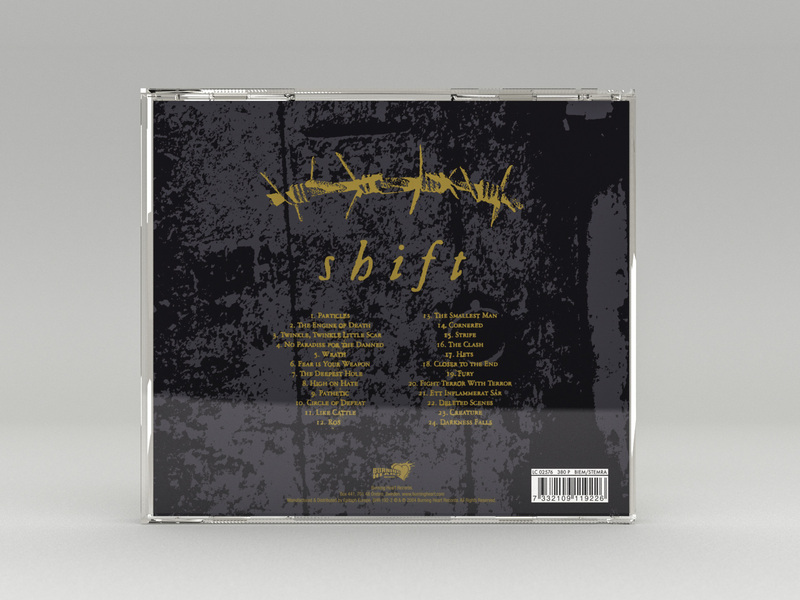 Packaging design for the album “Shift” by Swedish grindcore legends Nasum, released through Burning Heart Records in October 2004. 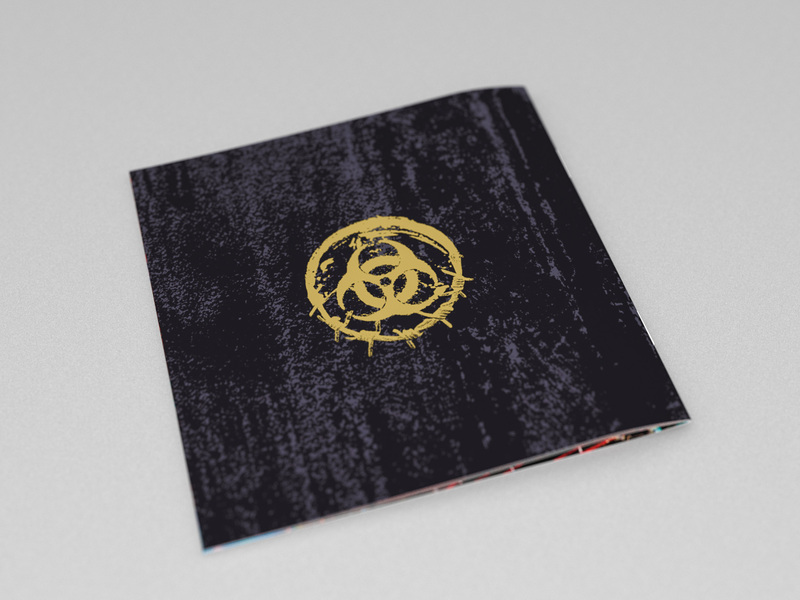 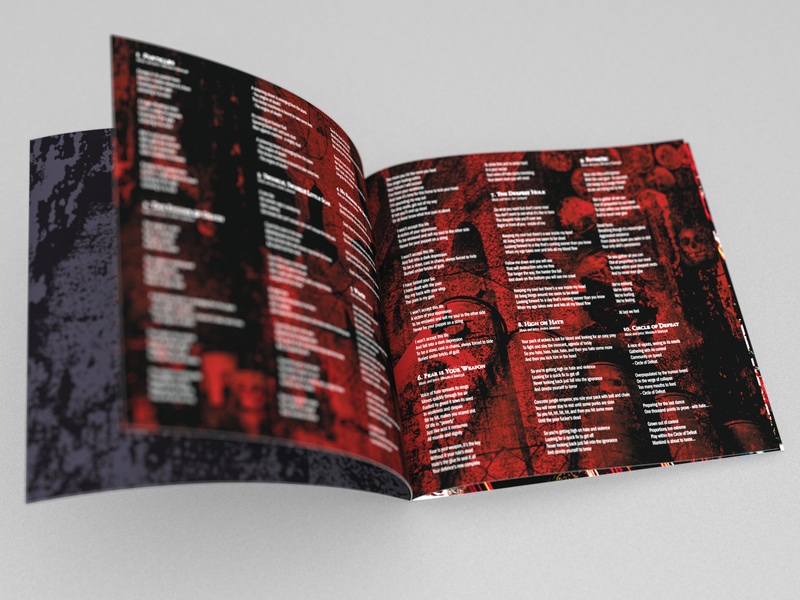 Print: CMYK + PMS 871. 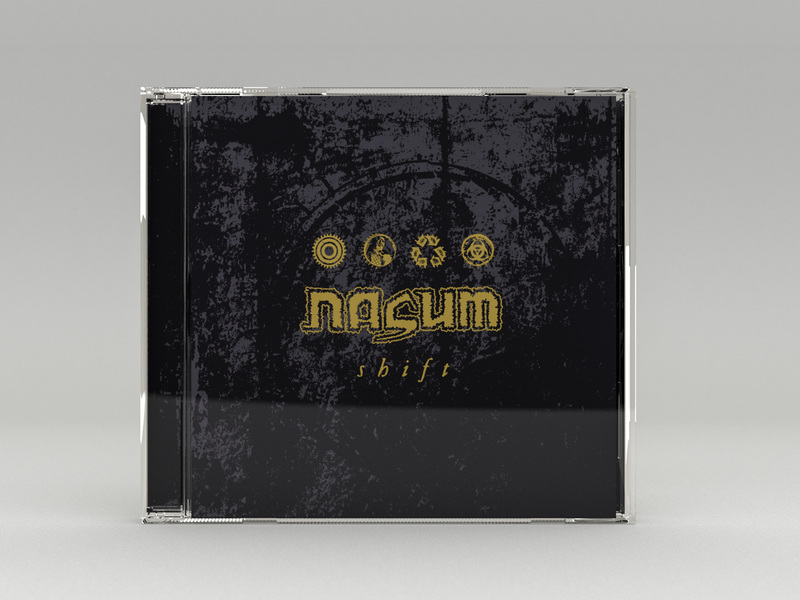 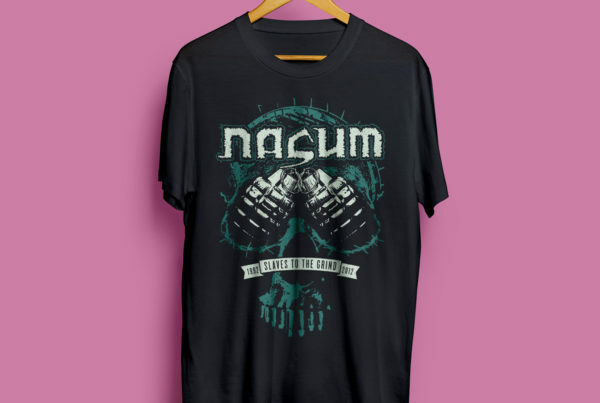 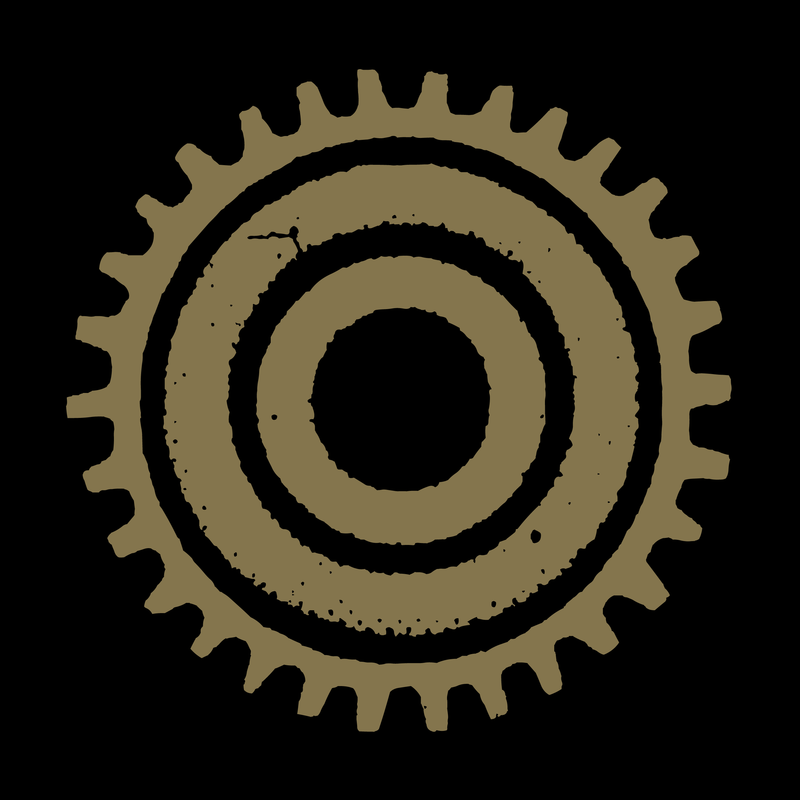 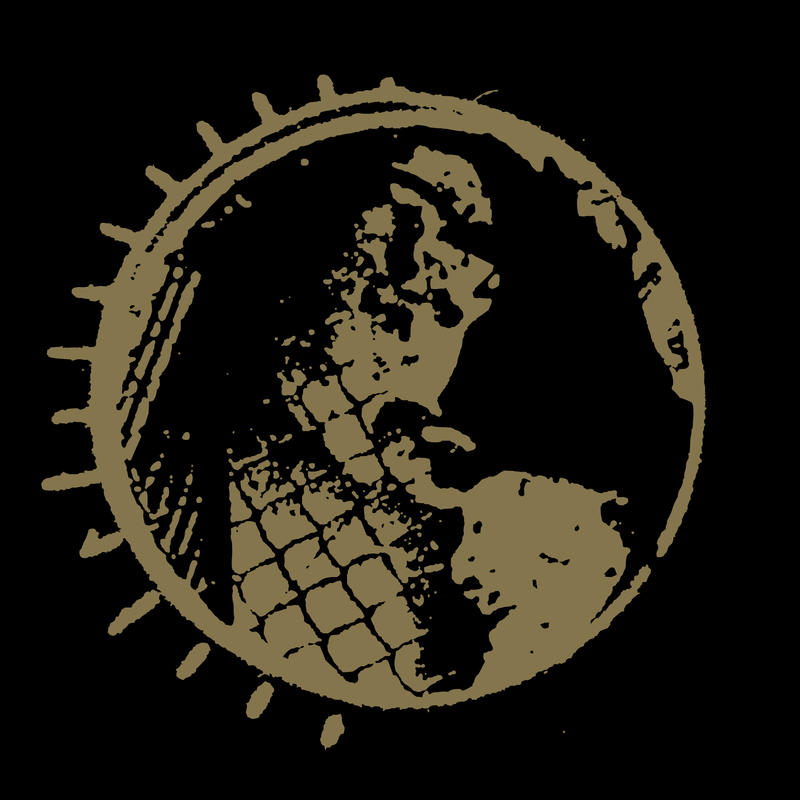 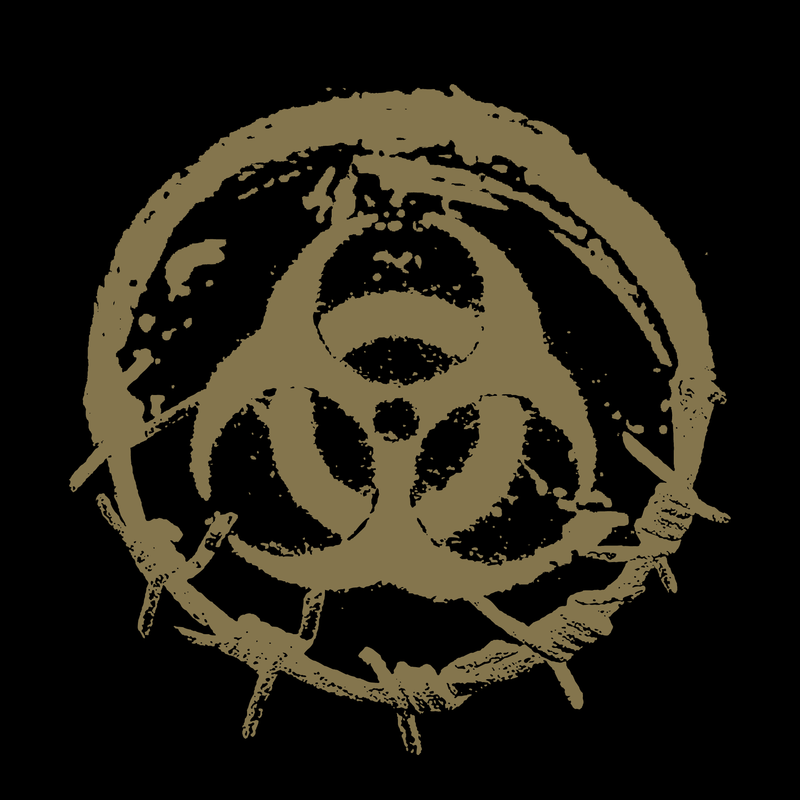 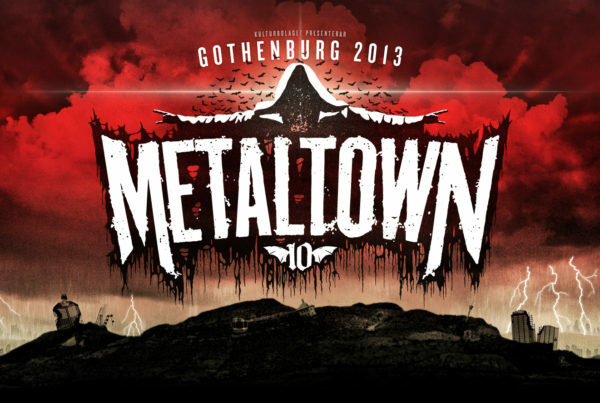 Nasum logo by Anders Jakobsson. 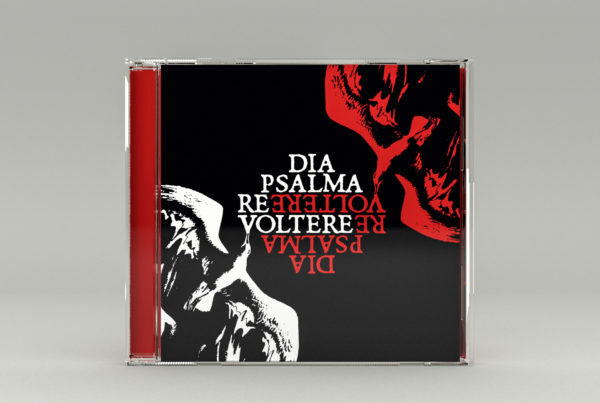 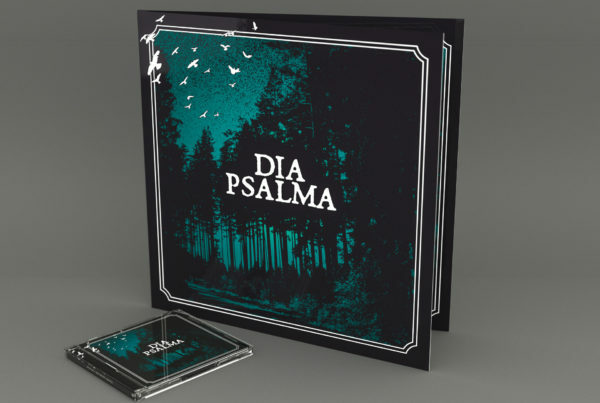 Singer and guitarist Mieszko A. Talarczyk left us in the tsunami disaster December 26, 2004, only two months after this album was released. 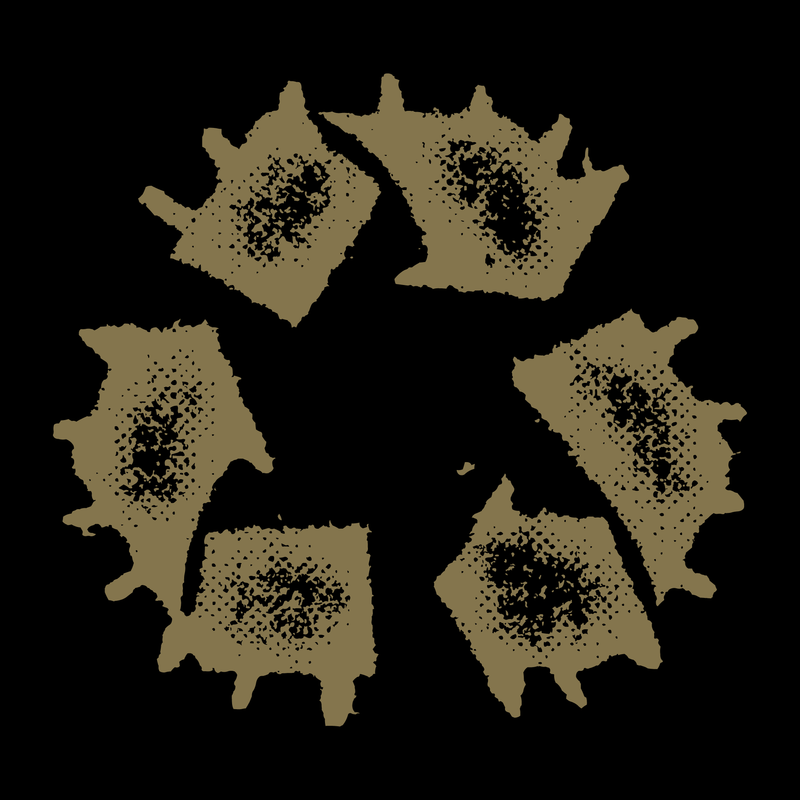 We will forever miss him.